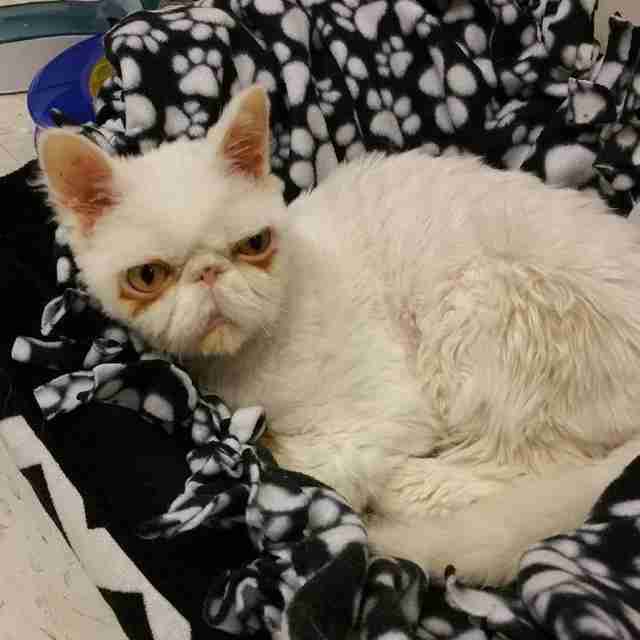 For the first time in a long time, Sinbad the cat can finally be himself again. 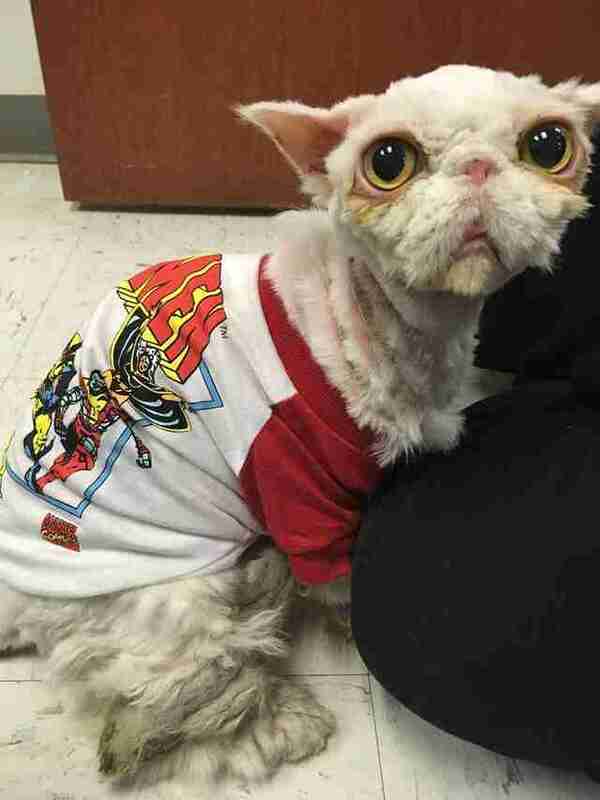 Last month, the 9-year-old Persian was rescued from the basement of a home in Illinois, where he'd been discovered in an extreme state of neglect. 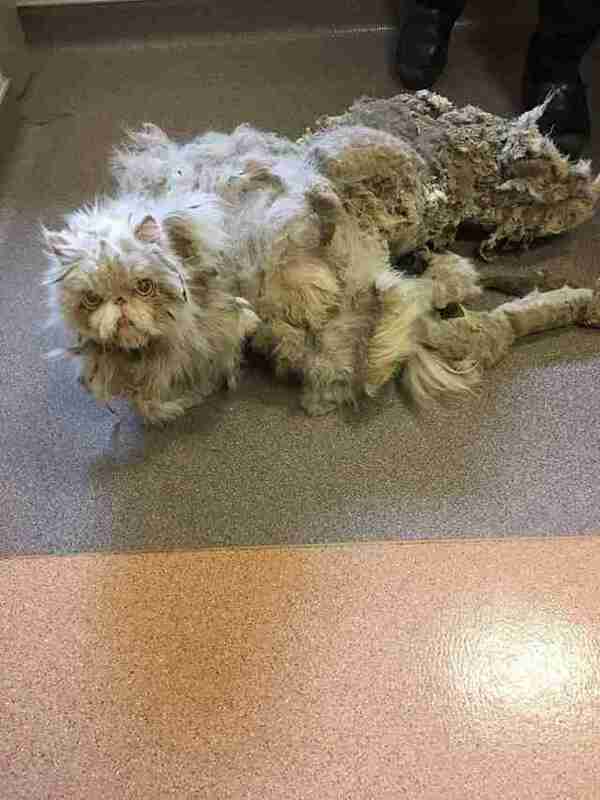 Sinbad's owner, an elderly man, had been unable to provide proper care for him for quite some time - evidenced by Sinbad's shocking coat of matted fur. Fortunately, help was on its way. 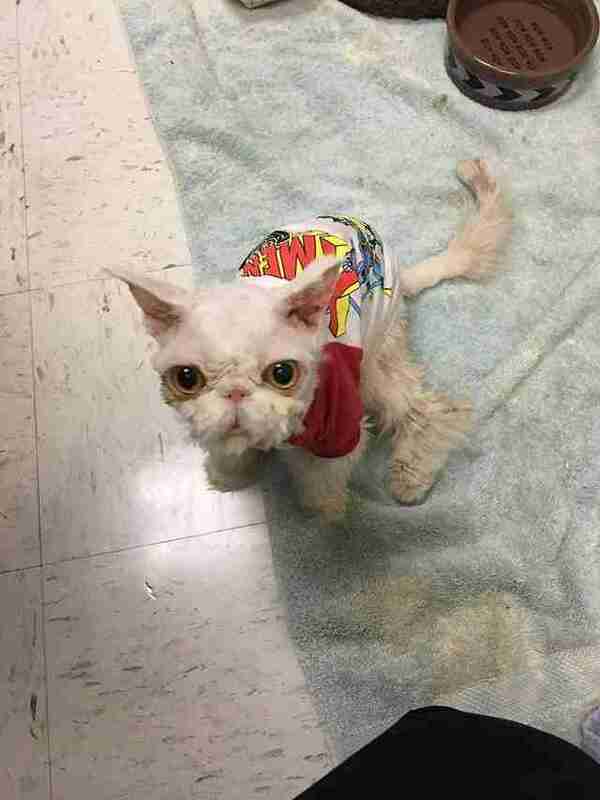 Sinbad's owner agreed to surrender him to the Anti-Cruelty Society in Chicago where, with trimmers in hand, staffers carefully set about freeing the cat from the thick, dirty carpet of hair that encased him. Clearly, they had their work cut out for them. Slow but surely, Sinbad's true self began to emerge anew. "It took two sittings. 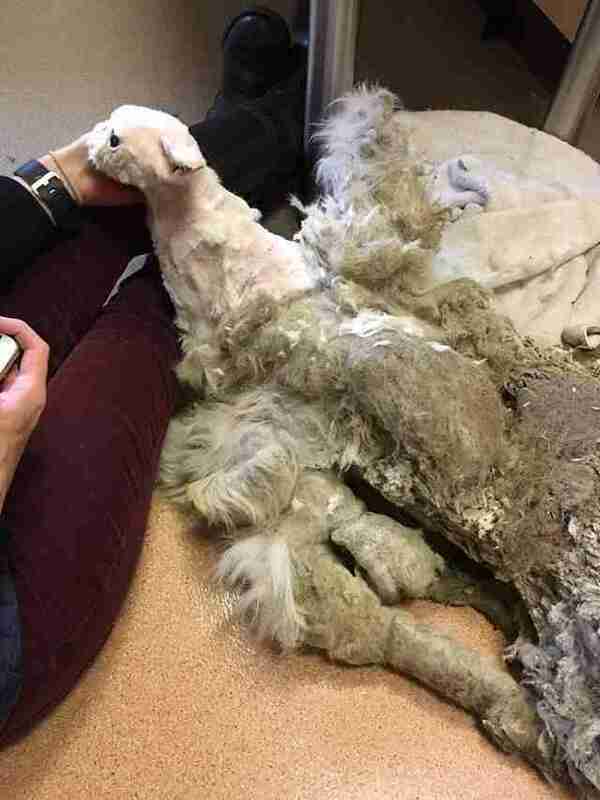 The first took several hours and the second sitting took about 2 hours," Anti-Cruelty Society public relations manager Colette Bradley told The Dodo. For the first time in a long while, Sinbad could feel the warmth of human affection. "He got tired after a while, but throughout the whole process came up to the people in the room looking for pets," Bradley said. 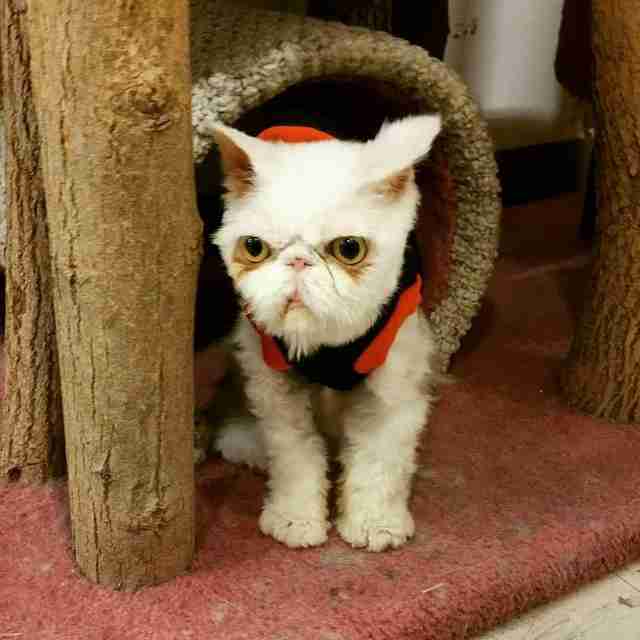 When it was all said and done, Sinbad was unrecognizable as the same cat. 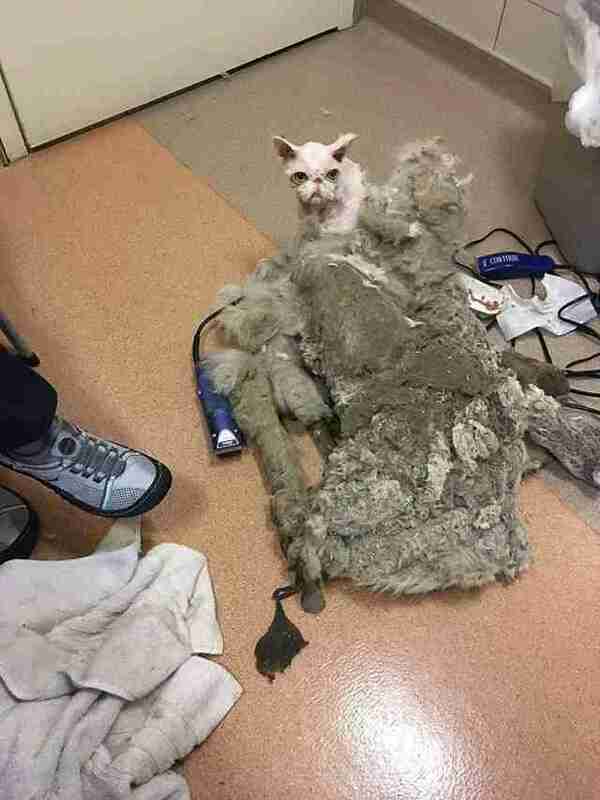 All told, he lost a whopping 5 pounds of matted fur - which took him some getting used to. "He was a bit unsteady on his feet at first," said Bradley. 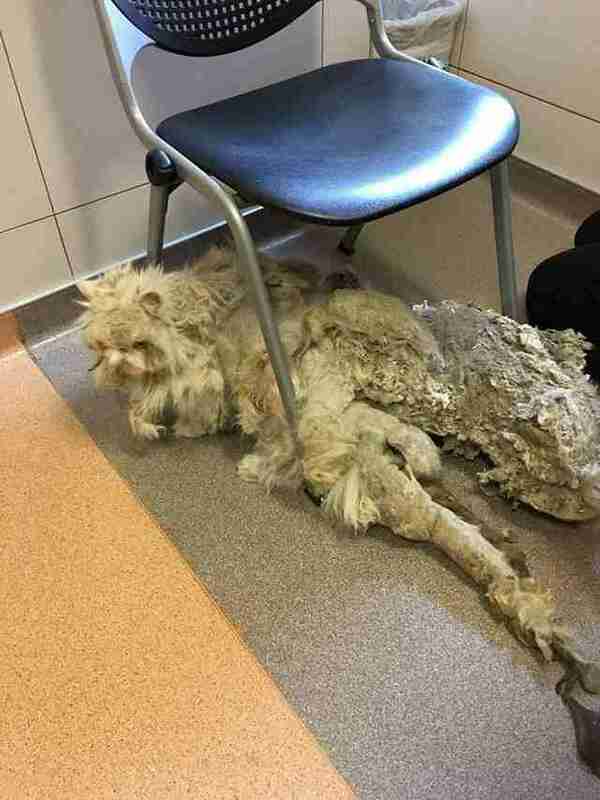 "He had very limited mobility prior to the hair being removed, so he had to relearn to walk on his back legs. He was very sensitive to touch but still sought out attention from people." Sinbad's story doesn't end there - in fact, it gets better. 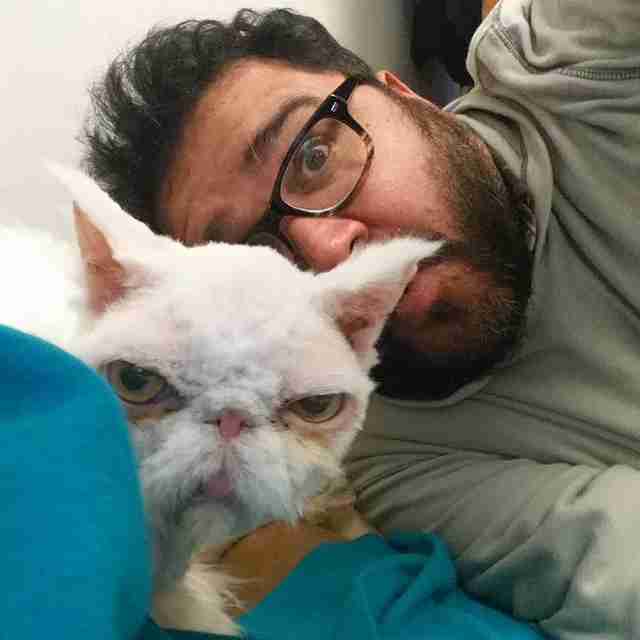 After the epic haircut, he was placed with Elliott Serrano, who planned on fostering the cat until he could find a forever home. But then Serrano fell in love, and decided to adopt Sinbad himself. It's only been a few weeks now since Sinbad's long, cumbersome ordeal ended. 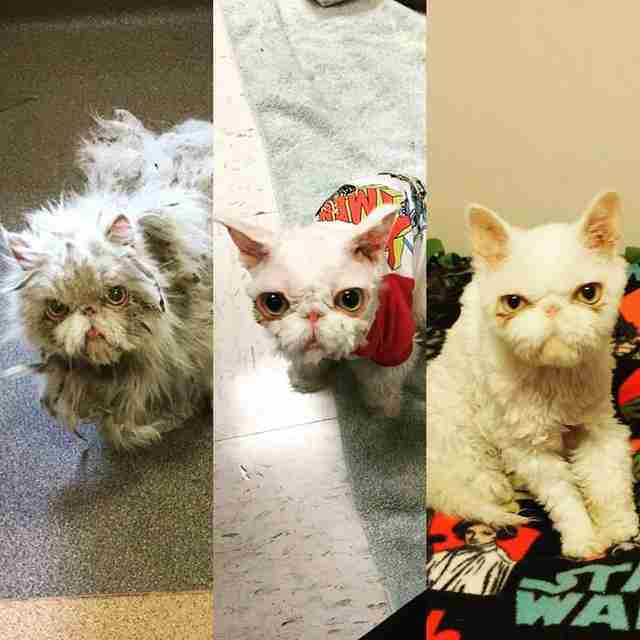 But to see him now, you'd never guess he's been through so much. "He's doing very well!" Serrano told The Dodo. "His personality really has blossomed! At first he was very quiet and reserved. Now he runs around the house, chases his toys, and asks for affection more readily." Though Sinbad's naturally scowling face might not show it, those who helped him along the way can easily see how much happier he is now that he's loved as he should be. "He loves his new home!" said Bradley. To keep up with Sinbad's progress, follow him on Facebook and Instagram.